This isn’t an apology, because obviously Lionsgate factored very big on when Daybreakers was going to be released, but this was in development far before Twilight. It’s true that Hollywood is very much susceptible to trends, usually built on underlying beliefs and fears in the public’s subconscious. Look no further than the disaster movies of the late-’90s or the post-9/11 string of safe, feel-good storytelling. “The sibling writer-director team of Michael and Peter Spierig gather the promising elements of a socio-satirical horror movie. 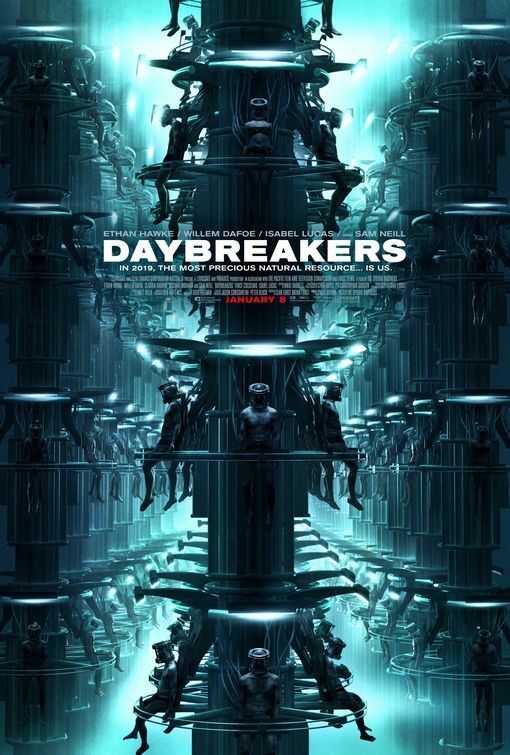 But when Edward joins a roving band of human renegades, led by Willem Dafoe as a guy named Elvis, Daybreakers turns into a ponderous apocalyptic chase film — it’s like Children of Men with exploding-plasma shock effects. The best thing you can say about the movie is that it pours some very old blood into a new plastic bottle. The Buzz: Bad. 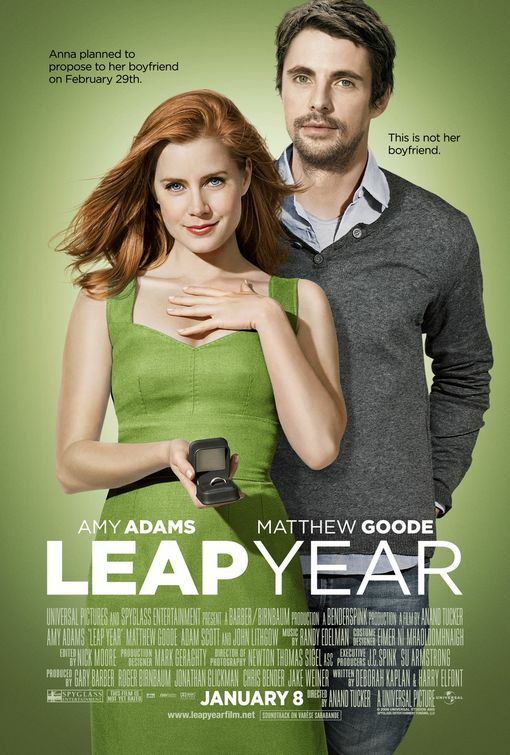 2009 wasn’t a good year for the romantic comedy genre, with titles like The Ugly Truth, The Proposal battling for the lowest common denominator. It may be a new year, but the trend looks to continue with Leap Year. The main reason to see it seems to be the beautiful Irish settings, which serve as a back drop for an unnervingly airheaded comedy. 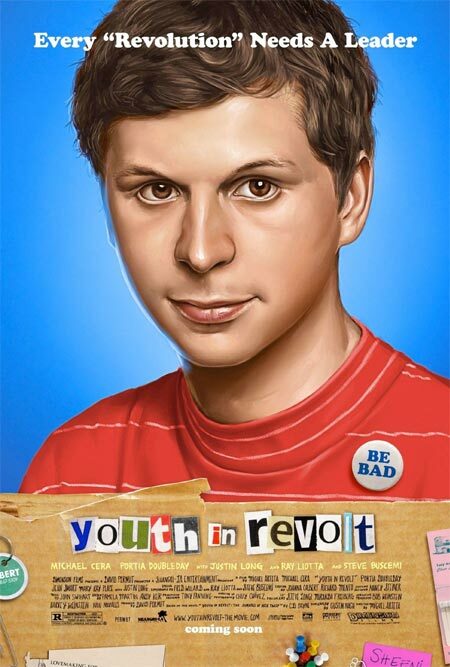 Youth in Revolt is the latest comedy starring Michael Cera, who plays Nick Thwisp, a lonely teen dealing with his parents’ divorce, who conjurs up an alter ego, in order to get the attention of the girl of his dreams, played by actress Portia Doubleday. Cera told Red Eye‘s Matt Pais, that what he liked most about the script was the fact that the main characters were off the beaten path. I like that theyre not typical teenagers. Its kind of obvious why they connect because they really dont fit in with anyone their own age and they really dont fit in with their families. So they have a lot in common, even though they really mess with each other. The Buzz: Good, but not great. The movie was actually filmed when the 22 year old Cera was 19, and while it’s never a good sign when a movie put on the shelf, in this case the reviews haven’t been bad.